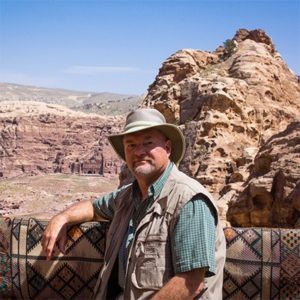 In his role as facilitator for education for justice and peacemaking, Doug connects PC(USA) congregations and councils with indigenous Christians in Israel and Palestine. Doug’s extensive experience in the region as a PC(USA) regional liaison for Israel, Palestine and Jordan, mission co-worker, and peacemaking consultant and facilitator furthers his capacity to educate PC(USA) constituencies on the contextual realities of the churches’ witness in the region. Through photography and information-sharing, Doug shepherds congregations and councils through the process of preparing for pilgrimages and other study trips. Doug’s work enables the larger PC(USA) community to advocate for peace and justice in Israel and Palestine. Read more about his ministry here.